AGS Senegal partnered with AGS Spain to organise the transportation of Spanish dictionaries and encyclopaedias from Madrid to Dakar. 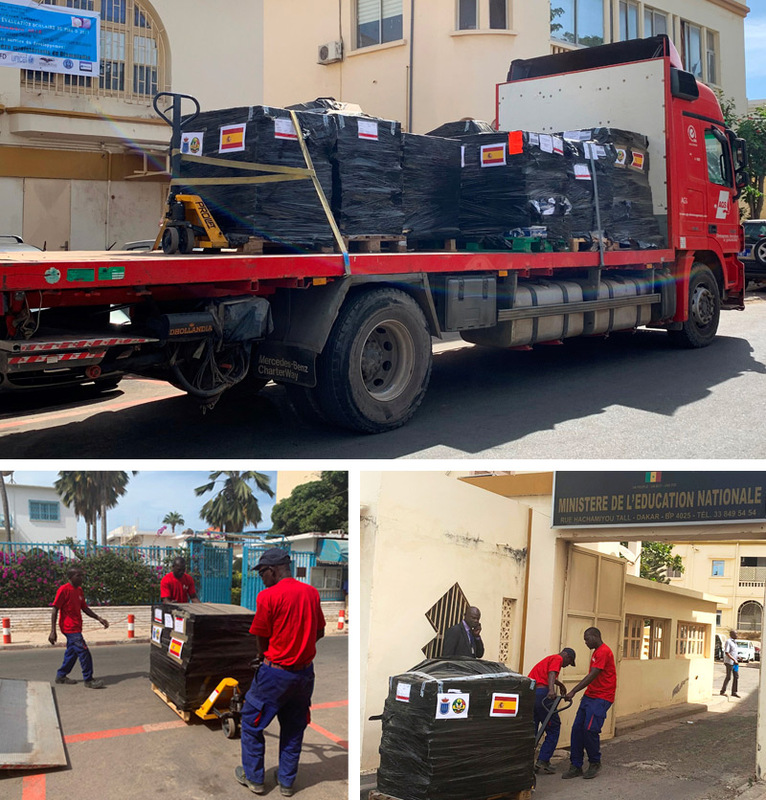 AGS Movers Senegal recently completed the final stage of a book donation operation organised by the Spanish Ministry of Foreign Affairs (MOFA) to the Senegalese Ministry of Education. 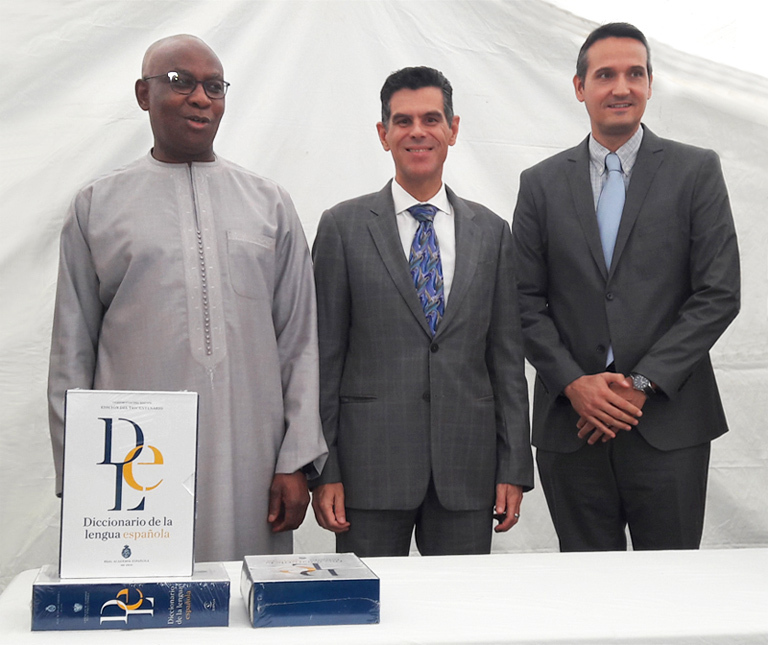 MOFA donated several hundred books to the Senegalese Ministry of Education in order to promote the use of the Spanish language in the West African nation. The first stage of the operation was handled by AGS Movers Spain in July last year. AGS Spain secured the safe transportation of the books to an airbase in Madrid (see our previous short article on this subject). This second intervention, supported by AGS Senegal, consisted of transporting books from the Ouakam Air Base in Dakar to the offices of the Senegalese Ministry of Education. A main sponsor of this operation, AGS delivered over seven pallets of dictionaries and encyclopaedias totaling 1759 books. The official donation ceremony took place on 14 December 2018 at the Senegalese Ministry of Education, in the presence of Mr. Mahammed Boun Abdallah Dionne, Minister of Education, Mr. Alberto Antonio Virella Gomes, Ambassador of Spain in Senegal and Mr Jean-François Philippon-Bue, AGS Senegal Manager (pictured above, from left to right).